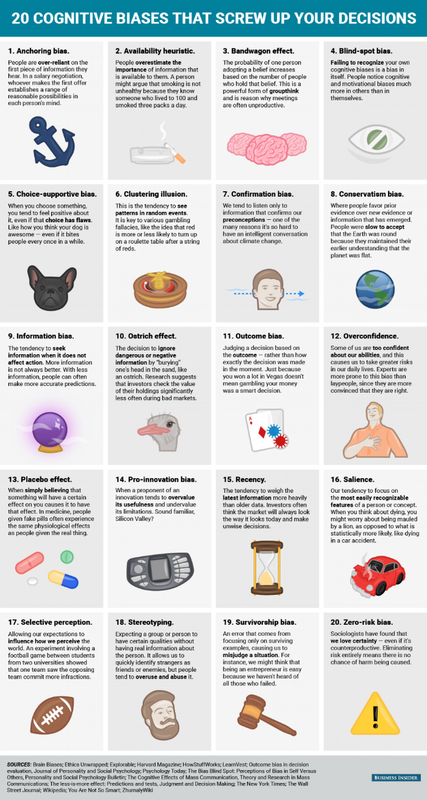 Cognitive biases are like contagious brain glitches that affect every human on the planet. Neuro and social sciences have identified and named hundreds of different biases that are socially transferred and replicated. They inhibit our ability to think and behave rationally, and they cloud our better judgment. There are literally hundreds more. Behavioral economist Dan Ariely has fantastic free resources to discover more of them. Marketers and technology companies have capitalized on these biases, playing with the influences that subtly direct our behaviors. They guide everything from our purchasing decisions through to how we respect others. But, there is a big issue here – implicit biases. These are the biases that are buried deep within our subconscious decision-making part of the brain. They subtly influence how we see, respect, and work with others. Implicit biases are causing major issues within organizations because they breed stereotypes and can inhibit fair, equity-based workplaces. When it comes to effective, collaborative, and respectful workplaces, all humans need ways of categorizing in order to make sense of the world. Yet, these give way to prejudice (which literally means pre-judgment) and forming boxed opinions of people based on social markers of race, gender, and socio-economic status. When we pre-judge other people, we restrict their ability to out-perform our limited expectations of them. As a manager, this often means you limit people's development based on limited expectations, usually based on judgments that you are not even aware of. As a co-worker, this can mean you unintentionally offend your colleague by saying something that seems reasonable to you but is not to them. Understanding the language around biases, how they work, and ways of completely recoding them is one of the most valuable and under-used business tools today. In order for an organization to respectfully hire, manage, and retain workers, they need to foster a culture of bias busting and respectful acceptance. This means the organization must activate equitable access and provide training that goes beyond a video. Simply learning about biases does not always help you unravel the complex brain glitches that build up and lock down over time. There are ways to override bias, but first one must understand how the brain codes the world and forms bias to begin with. Our method for rapidly overcoming biases and building equity within organizations is based on extensive research. We have spent thousands of hours testing and evolving creative ways of empowering and motivating teams to see through the stereotypes and biases that impede their creativity, collaborative spirit, and productivity.